At I Win SEO, search engine optimisation is in our name – and winning is our speciality. Over the years we’ve helped countless online businesses to propel through the search results, to a position where they can receive a steady influx of queries, traffic and conversions. Our team put an incredible amount of effort into choosing ideal industry specific search terms and key phrases – and this is something that many of our competitors overlook. Sure, it might look good to top the search results for a random keyword – but what if you could make your way up for terms that will offer a greater ROI? That’s exactly where we come in. 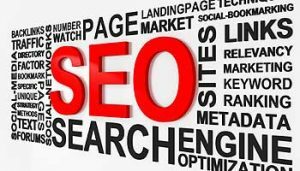 We use the latest SEO techniques and strategies to help your website to grow, in a way that search engines A) appreciate and B) prioritise. With our advanced techniques, you’ll be exposing your website to a powerhouse of expertise, so why not get in touch with us today?